Select this option if you want to display this page in a desktop browser (barrier-free). Generates the page with table layout. 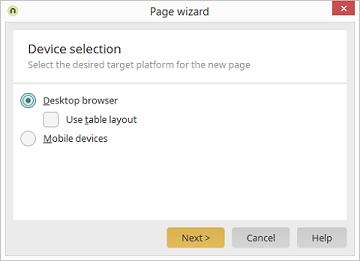 Select this option if you want to display this page on a mobile end device.